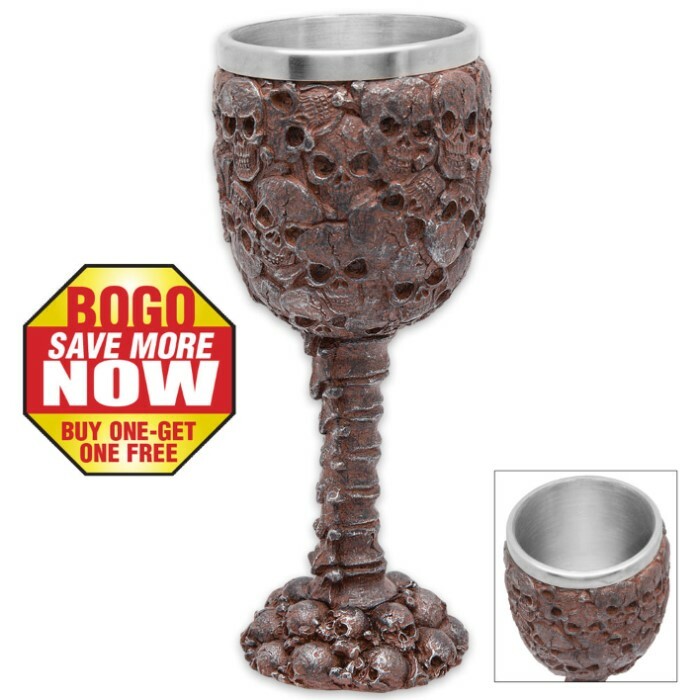 Rusted Skull Gothic Goblet - BOGO | BUDK.com - Knives & Swords At The Lowest Prices! Our new Rusted Skull Goblet is deliciously Gothic and will make a great addition to your castle or home. The goblet is intricately sculpted of cold cast resin to look like actual rusted metal. Really, the craftsmanship is unreal! It has a rust-resistant stainless steel liner and is 7 1/2” tall. Wouldn’t a pair of them be perfect for you and your Gothic beloved to toast each other with?